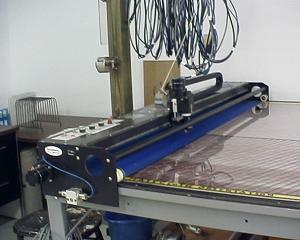 The design team at Harding Sails is equipped with the latest in Sailmaking CAD/CAM technology. 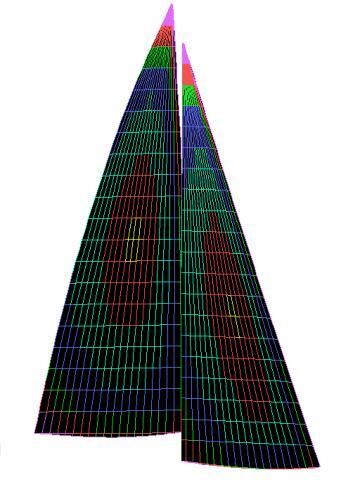 Our software allows us to create a virtual sail in the computer. The electronic model can then be viewed from any perspective and tweaked for optimal performance before actually going into production. Successful shapes can be duplicated for similar projects and then customized to suit each individual sail. Harding Sails is equipped to set every sail on the boat in a virtual environment to ensure proper sheeting angles and fit on the rig. Included are such details as spreader location, genoa tracks and backstay position. We make adjustments depending on factors such as rig tension, mast bend, headstay sag, displacement and rig type. Such tools are not nearly as uncommon as they once were, what sets Harding Sails apart is our sail design development program that maximizes the potential from this equipment to deliver sophisticated, fast shapes time after time. 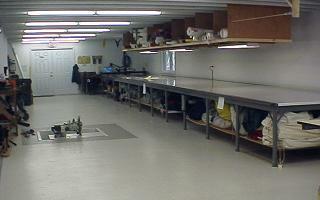 The Harding Sails design department also benefits from in-house software development, addressing design issues in a uniquely custom fashion. When we discovered that we could not use commercially available software to design gaff-rigged sails, we developed our own gaff-rig sailmaking software, and are now exclusively able to offer all the benefits of computer aided design to customers with these traditional rigs. Our customers are always benefiting from this ability to customize solutions to the design challenges that present themselves.